Cooperative advertising is a unique way to put heads in beds. 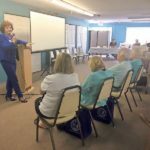 When Anna Maria Island resort businesses bought into a 2016 co-op advertising program in USA Today, people started “calling like crazy,” said Deborah Wing, president of the Anna Maria Island Chamber of Commerce. “We knew it was our piece” that stimulated interest. Working alone, small businesses probably would not be able to afford large advertisements in USA Today, Southern Living or other publications popular among Florida-bound tourists. But if they pool their resources, groups of businesses can advertise in publications for less than the individual cost. That’s the concept behind co-op advertising, part of the strategy employed by the Bradenton Area Convention and Visitors Bureau to attract tourists to Manatee County. Through the CVB, which spends tourist tax revenue collected from Manatee County lodging establishments, 17 island businesses participated in a countywide co-op program in the past year, while the AMI chamber’s co-op program promoted participating accommodations with CVB funds. Wing said the USA Today ad cost $20,000, but six chamber lodging members paid only $250 each to be included. The remaining cost was covered by tourist-tax revenue. 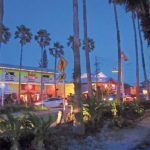 Meanwhile, Anna Maria Oyster Bar and Wavesplash Watersports are two of 17 island businesses that participate in a co-op advertising program sponsored by the CVB. This past year the CVB promoted Manatee County businesses in a variety of ways, both in print and online, including the CVB website and social media. Advertisers’ costs were $16,000 for a Platinum co-op package ($26,000 value), $10,000 for the Gold package ($15,000 value), $4,500 for Silver ($8,900 value) and $2,500 for Bronze ($4,200 value). Packages and prices for 2017-18 are being assembled. 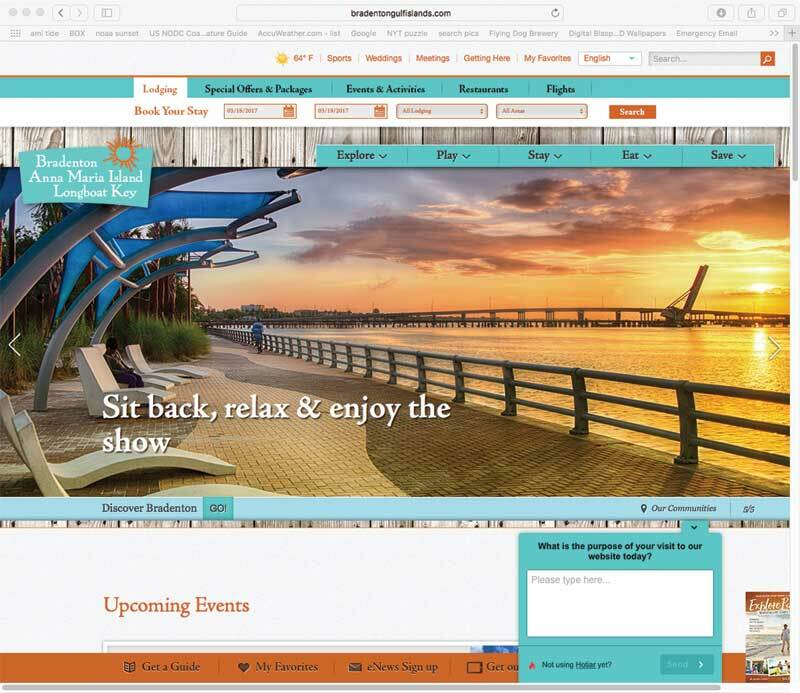 Plans may change this year, depending on what happens with the CVB website redesign. Promotion of the next annual program will begin in May with a “co-op talk,” at which the CVB will showcase what’s available and distribute booklets listing packages and prices. Even when a business does not reap a noticeable benefit from the co-op program, it’s important to some to stay involved. John Horne, owner of AMOB on the Historic Bridge Street Pier in Bradenton Beach, said co-ops include many different levels and media from which to choose, including online banner ads and e-blasts. Through the CVB, Horne said, Anna Maria Oyster Bar hosts tour operators and the Europeans they bring — such as groups of travel agents and travel writers — to spend a day on the island. 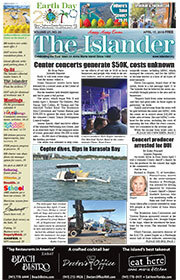 Horne referenced a “tremendous write-up” about the island in a Canadian newspaper. The “star” of the article was the Donut Experiment, 210C Pine Ave., in Anna Maria. “A lot of people — who understand and appreciate what the CVB is doing — participate in the programs,” Horne said.